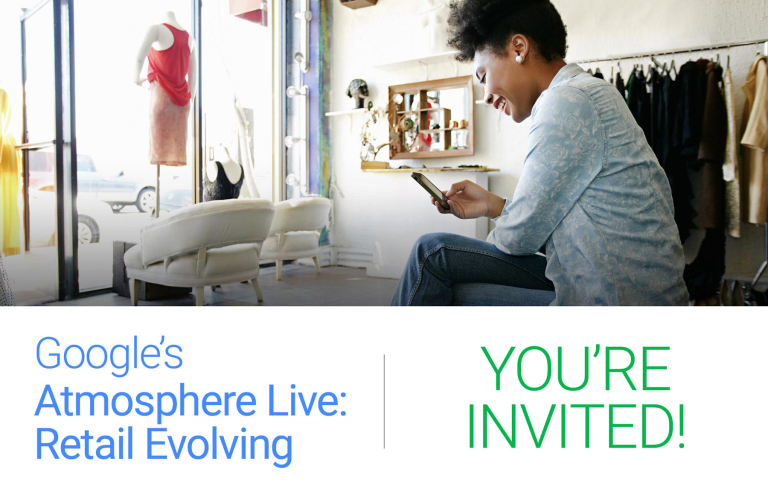 Google Atmosphere Live – You’re Invited! Shopping-related searches increased 120% in the last year1, according to a review of Google’s data. The consumer’s journey is full of micro-moments, with shoppers reaching for their smartphones in every kind I-want-to-know, to I-want-to-buy (and crucially, I-want-to-buy-again) moments. Register now to reserve your seat with Google on April 26th.